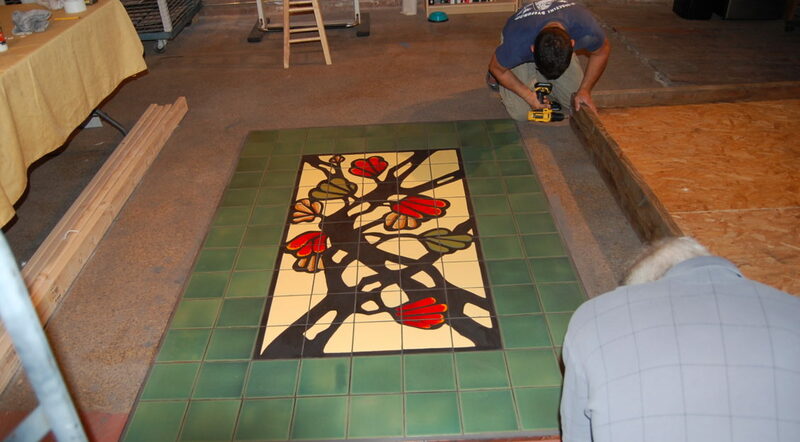 Custom hand glazed tile mural for the Marriott Hotel in Downtown Riverside, California (4.5’x6.5′). 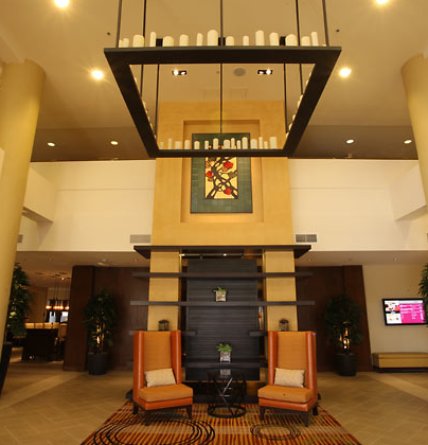 Mural was made with coordinating colors as the statement piece of the hotel in the lobby. Crated, shipped & installed in August of 2011.